Making his 29th start of the season and on a pitch limit, he pitched five shutout innings, allowing just two hits with a walk and six strikeouts in 70 pitches. 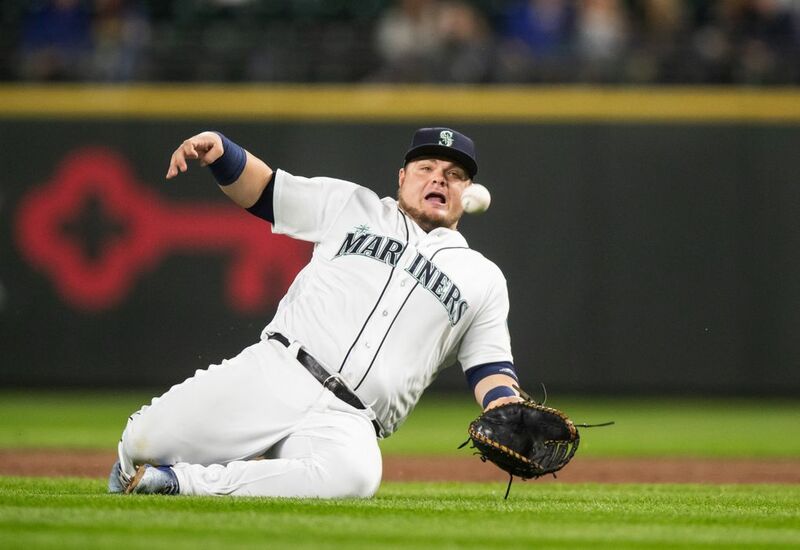 In the midst of Marco Gonzales’ struggles at this point last season, when Mariners fans were lamenting/excoriating the trade that brought him to the organization, manager Scott Servais and general manager Jerry Dipoto patiently explained that the young left-hander would be better in 2018. Gonzales was in his first year following Tommy John surgery and studies show that the second year following the ligament replacement in a pitcher’s elbow is when they start to feel fully back. And they believed that in the second year Gonzales would return to being the pitcher who was once a top Cardinals’ prospect and a first-round pick out of Gonzaga. Thus far, they’ve been right. 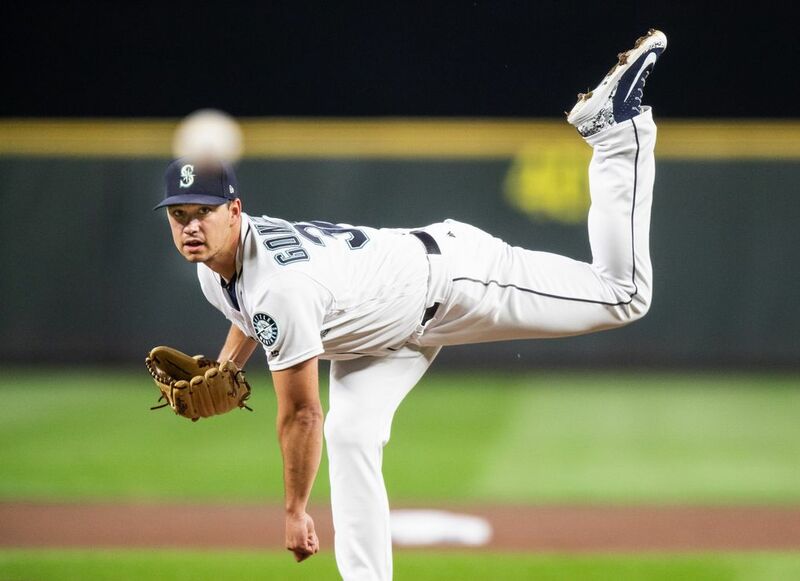 Gonzales made his final start of the season Thursday night at Safeco Field. 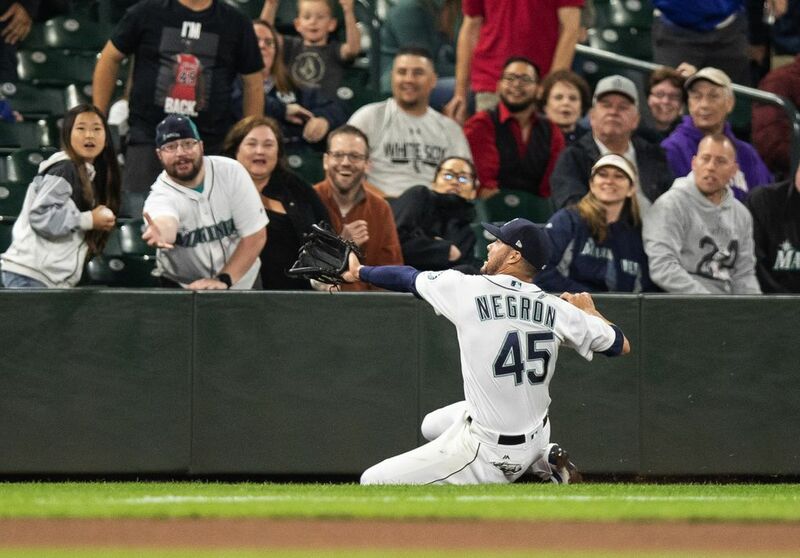 And while the Mariners lost 2-0, showing no offense and getting shut out for the seventh time this season, Gonzales wrapped up a solid 2018 campaign with a strong, but shortened outing. 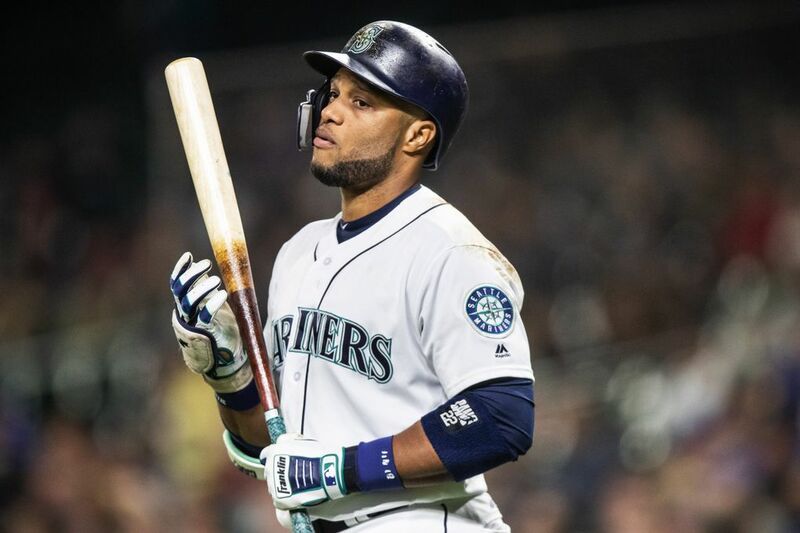 “This is exactly what he needed to go into the offseason and cap off an outstanding year for him,” Servais said. 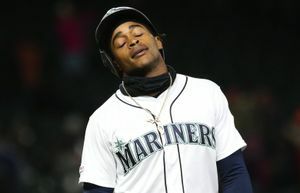 Since the Mariners couldn’t muster any sort of offense, he settled for a no-decision, finishing the season with a 13-9 record and a 4.00 ERA with a career-high 166 2/3 innings pitched, 145 strikeouts and 32 walks. He led the team in wins while ranking second in innings pitched, starts and strikeouts. Servais, who lives in Colorado in the offseason, scouted Gonzales when he was a Colorado high school legend and followed his development from Gonzaga to the Cardinals. Gonzales was the Mariners’ best starting pitcher for almost a two-month stretch early in the season. Over 17 starts from April 24 to July 29, he posted an 11-3 record in 17 starts with a 2.72 ERA. But when his overall innings began to climb into places he’d never reached, he started to develop some fatigue. 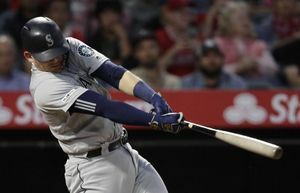 The Mariners tried to combat that with an extended break around the All-Star game and extra days in between starts. But a neck issue also started to cause problems, limiting his ability to finish pitches. He went 0-4 with a 10.35 ERA in the four starts before being placed on the disabled list August 2. 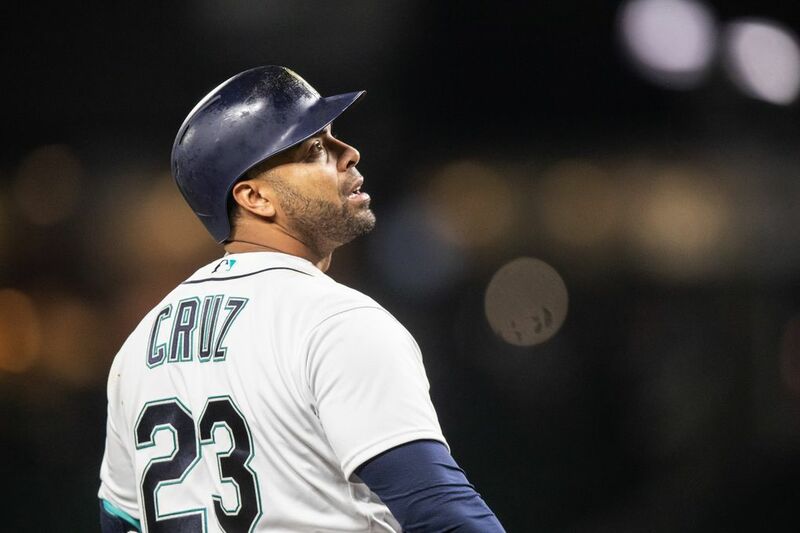 The Mariners were cautious in his return, limiting his innings and pitches. He has made four starts since being activated, allowing just four runs in 21 innings with a 1.71 ERA, 17 strikeouts and five walks. 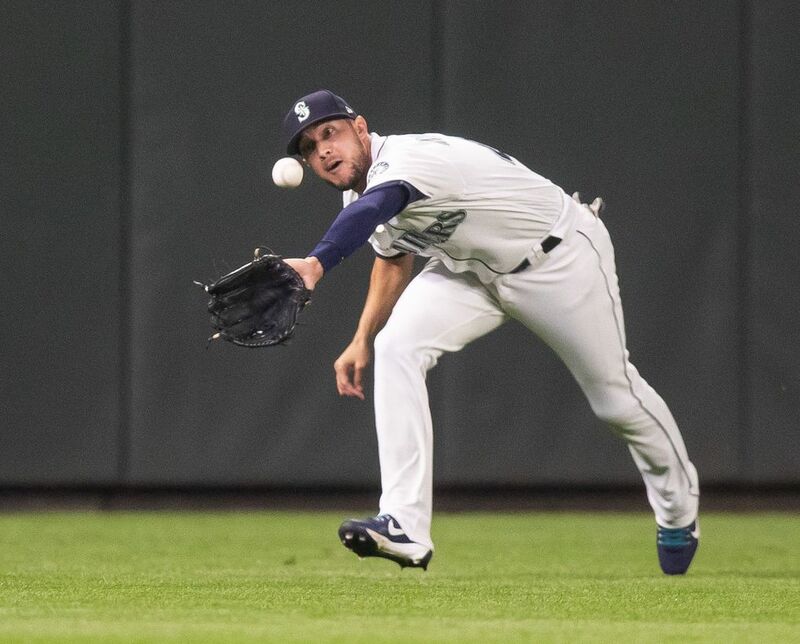 In the search for positives in another season without making the playoffs, Gonzales’ performance in his first full big-league season and his expected growth in the future gives the Mariners a young, controllable starting pitcher. 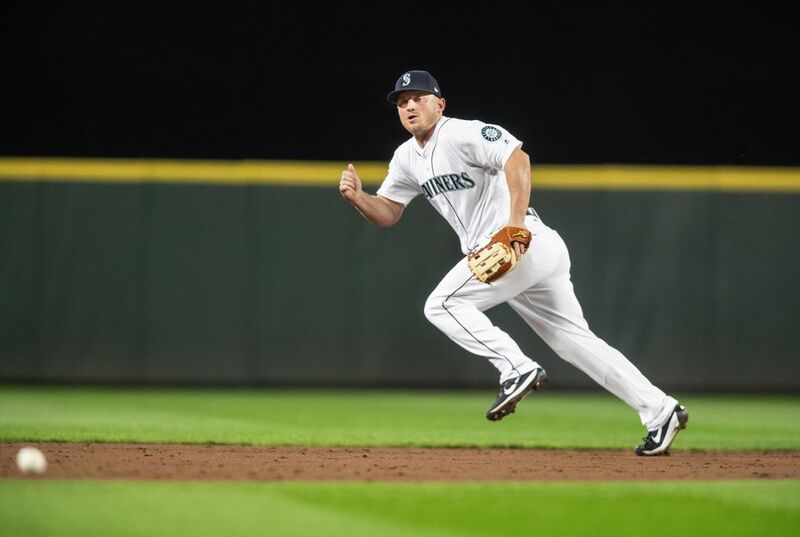 With no starting pitching prospects in the upper levels of the minor leagues, his emergence is vital for Seattle going forward. Gonzales, who is diligent with his craft and obsessive about his routine, will now take a mental and physical break. But it figures to be short given his drive to improve. As for the trade that sent slugging prospect Tyler O’Neill to St. Louis last season in exchange for Gonzales, well, it’s still to be determined as to the winner of the deal. O’Neill has had multiple call-ups to the Cardinals this season. He has played in 58 games, hitting a .250 (31 for 124) with a .301 on-base percentage and .508 slugging percentage. He has nine homers and 22 runs batted in, but he also has a whopping 55 strikeouts and just seven walks. The strikeout potential was something that concerned the Mariners and opposing scouts during O’Neill’s first season at Class AAA in 2017. But at age 23, he’s also an unfinished product. Gonzales, meanwhile, exited after five complete innings and the game still scoreless. His teammates had mustered just one hit off Rangers starter Ariel Jurado over that time. The tie was broken up in the seventh inning. Lefty Zach Duke gave up a one-out double to Ryan Rua and an RBI single to left-handed hitting Ronald Guzman. Shawn Armstrong replaced Duke and struggled. 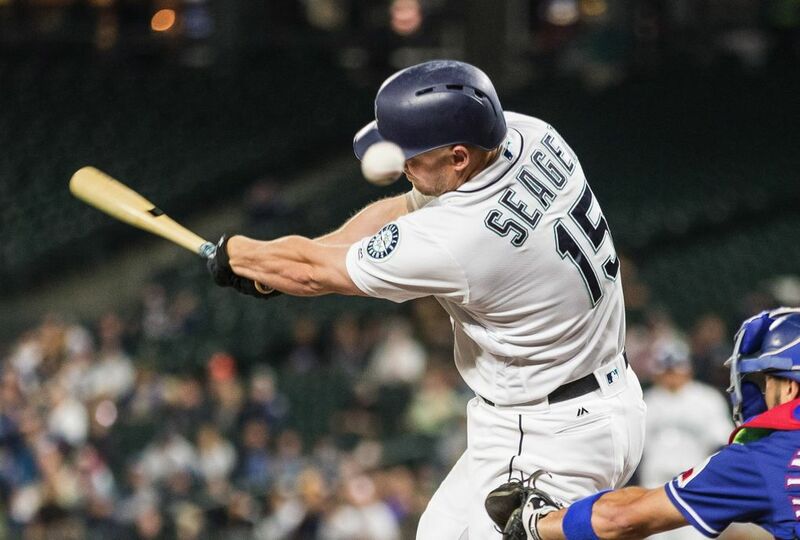 He gave up a ground-rule double to Hanser Alberto, intentionally walked Rougned Odor to load the bases and then hit Isiah Kiner-Falefa in the helmet with a pitch to force in another run. 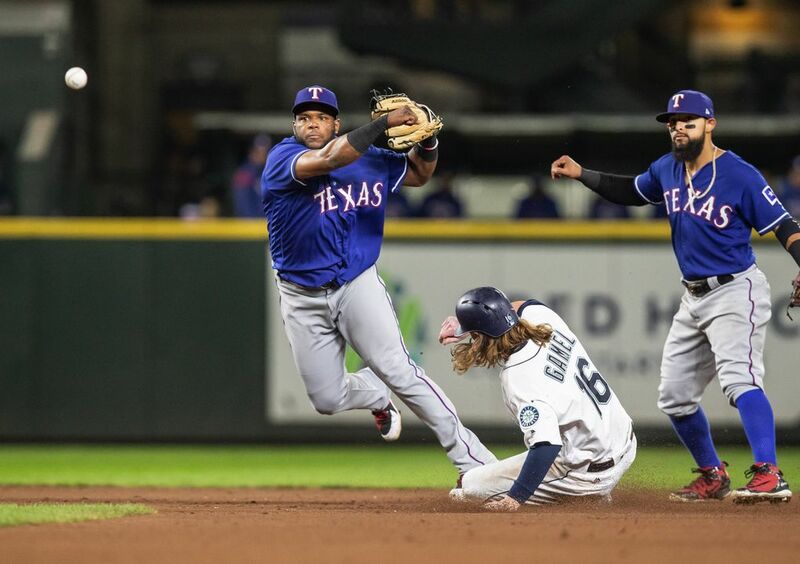 That was all the Rangers would need since the Mariners got a whopping three hits on the night — a second-inning single from Daniel Vogelbach, a leadoff single from Ben Gamel in the sixth and Mitch Haniger’s leadoff single in the ninth. The Mariners announced that lefty James Paxton will make his final start of the season Saturday evening at Safeco Field. Paxton wants to try and reach 160 innings pitched on the season. He has thrown 154 1/3 innings in 27 starts this season, posting an 11-6 record with a 3.85 ERA. 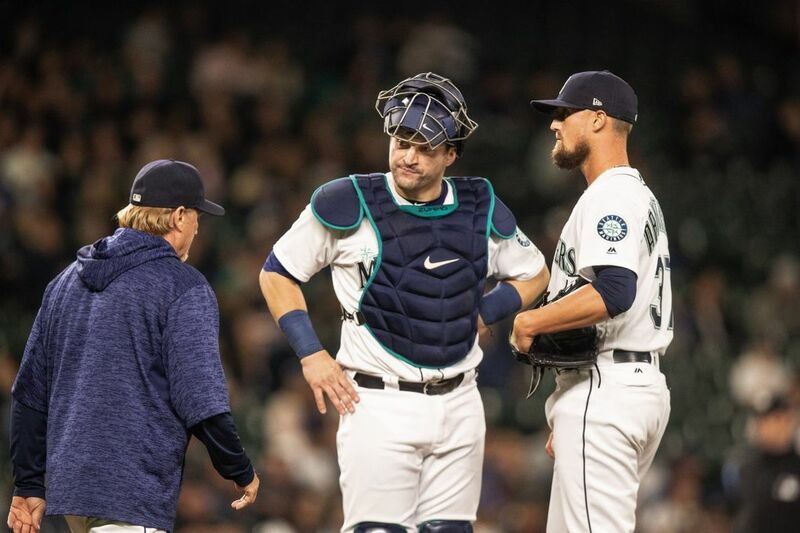 The Mariners have yet to decide on a starter for Sunday’s season finale.